Douglas Schott is the Director of Geologic Services and a Senior Project Manager at Brickhouse Environmental. He is a licensed Professional Geologist with more than 20 years of experience managing and implementing comprehensive geologic and hydrogeologic investigations for our solid waste, industrial, and land development clients. He has successfully investigated and remediated over 100 contaminated sites in Pennsylvania, New York, New Jersey, and Delaware. 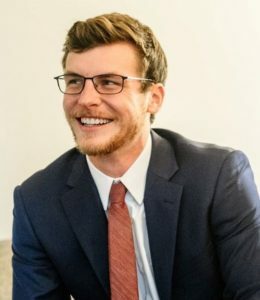 Mr. Schott has a classic analytical mind and excels at breaking down data, finding the underlying patterns and connections, and foreseeing the steps required to carry our clients’ projects to the finish line. He approaches all projects from the client’s perspective, developing a course of action based on the ultimate project goal and client expectations. Mr. Schott earned his B.S. in Earth Science and Geology from The Pennsylvania State University and has his Professional Geologist license in Pennsylvania, Delaware, and New York. He is member of the Pennsylvania Council of Professional Geologists (PCPG) and co-authored guidance for stormwater management in sinkhole-prone areas as a member of Pennsylvania’s Stormwater Technical Workgroup. Michael Lane is a Certified Professional Soil Scientist with over 20 years of project experience, ranging from soil investigations for application of wastewater and infiltration of stormwater, to wetland delineation and permitting, to groundwater and soil sampling for site characterization and remediation projects, to landfill monitoring and permitting. He has provided testimony before Township boards and commissions and has presented expert testimony before the Pennsylvania Environmental Hearing Board. 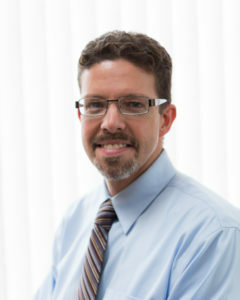 Mr. Lane has experience in many other aspects of land development, including: sewage facilities planning, Phase I and Phase II environmental site assessments, environmental impact assessments, tree surveys, and habitat assessments for endangered and threatened species. His breadth of experience gives him a unique perspective on the ever-expanding array of environmental rules and regulations and their application to specific projects. Mr. Lane holds a B.S. in Environmental Resource Management from The Pennsylvania State University, along with certifications as a Sewage Enforcement Officer and Professional Soil Scientist. He is an active member of the Pennsylvania Association of Professional Soil Scientists, serving multiple terms as President and Treasurer. 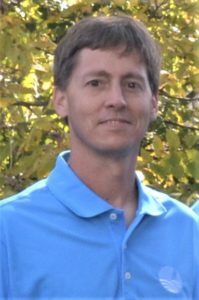 Mr. Lane has organized technical training sessions for soil scientists and related professional groups and has served as an instructor and speaker at various professional conferences and seminars. He has served on the PA Stormwater Technical Workgroup as part of the Capture and Reuse subcommittee, proposing science-based changes to the PA Stormwater Best Management Practices Manual. Alfred Yates is a registered Professional Engineer with over 15 years of landfill permitting and design experience. He serves as Brickhouse Environmental’s Practice Leader for Solid Waste. As an Environmental Engineer, he is responsible for design, environmental monitoring, permitting, construction oversight, and review of solid waste facilities. He has prepared feasibility studies, conceptual and comprehensive designs, and financial modeling and permit applications for solid waste landfills, as well as hazardous and construction/demolition waste landfills. He has also evaluated existing and proposed facility designs at private and public sites for regulatory compliance and technical content. Mr. Yates holds a B.S. and M.S. in Civil Engineering from Drexel University, along with Professional Engineer Certifications in Pennsylvania, New Jersey, and Delaware. Mr. Yates is a SWANA Certified Landfill Technical Associate and a member of the Solid Waste Association of North America. St ephen Huxta is a licensed Professional Geologist with over 6 years of experience conducting hydrogeologic studies and environmental monitoring of soil, soil vapor, surface water, groundwater, and landfill leachate. He has completed site assessments and monitoring programs for industrial, residential, and commercial facilities. 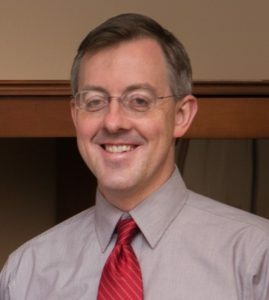 He has successfully delineated and remediated the impacts from home heating oil spills, and is skilled in communicating with various stakeholders and regulatory agencies. His field experience includes: soil, groundwater, and NPDES sampling; subsurface soil investigations; vapor intrusion and sampling and evaluations; logging and directing installation of shallow and deep groundwater monitoring wells; pump test operations; infiltration testing; onsite air monitoring; and asbestos assessment and remediation. Mr. Huxta has a natural talent for staying focused on client goals, and keeping those goals at the forefront as projects move through the decision-making process. Under the guidance of our senior management team, his responsibilities include the management of our real estate due diligence services, project management, and oversight of field operations, proposal preparation, personnel management, and client communications. Mr. Huxta holds a M.S. in Hydrogeology from The University of Pennsylvania and a B.A. in Chemistry from Virginia Tech, along with an Asbestos Building Inspector Certification in Pennsylvania.